Co-packers are contract manufacturers that make food products, behind the scenes, for food brands. 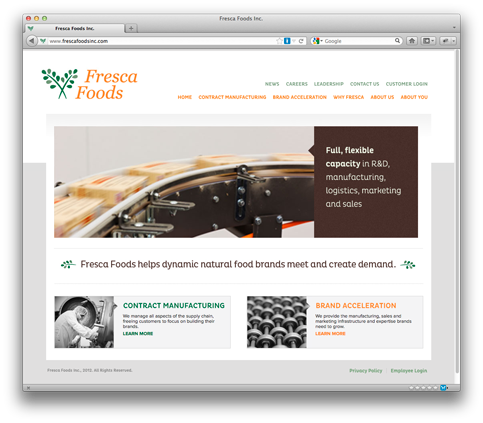 Fresca Foods is a different breed of co-packer. They work exclusively in the natural foods category, they have the operation efficiency to deliver mass market products for “the big boys,” and they even act as a venture capitalist and incubator for some of their growing clients. 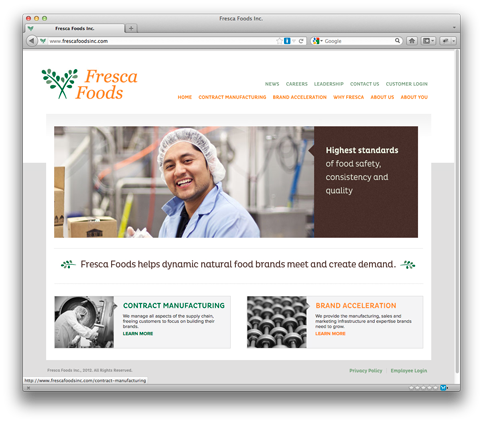 The Challenge: Even though Fresca’s is über B-to-B, it was important to them to deliver a brand experience that felt rooted in “consumer.” In addition to their unique capabilities, they naturally wanted to brag about their “household name” customers, while maintaining their privacy. 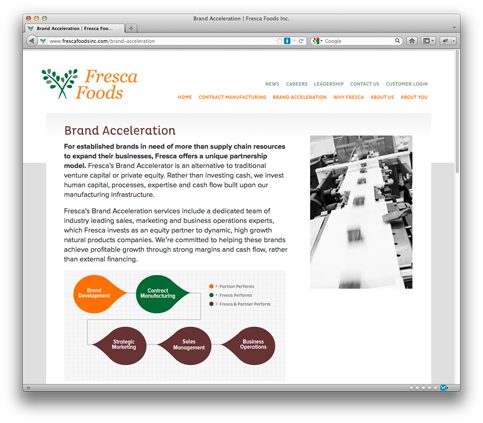 The Result: Working with Vital Works on the brand positioning and copy, our top-down web site redesign succinctly reflected Fresca’s newly evolved business mandate. New visuals, copy, and site architecture now drives home the idea that B-to-B customers are still consumers.